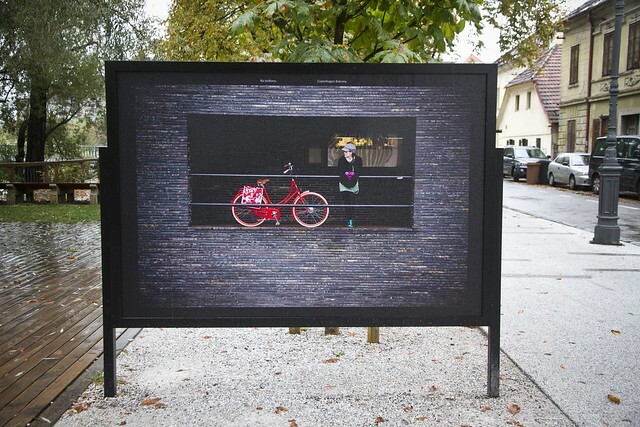 Cycle Chic and Copenhagen's bicycle culture has gone walkabout with my "Monumental Motion - A cycling life in the capital of Denmark" photo exhibition. 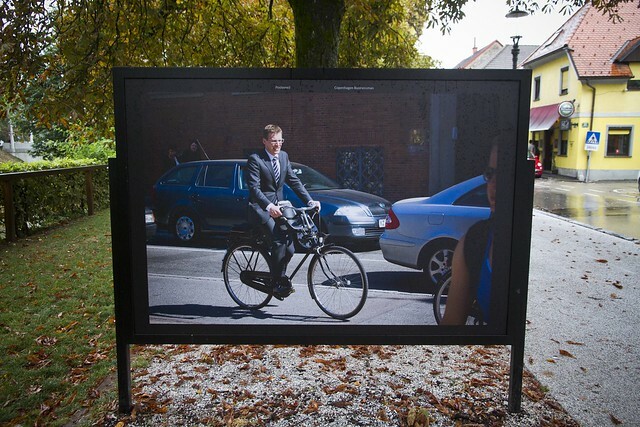 These three photos are from the world premiere in Ljubljana, Slovenia last autumn, but the exhibition, in collaboration with the Danish Foreign Ministry, is scheduled to travel the globe for another year or so. 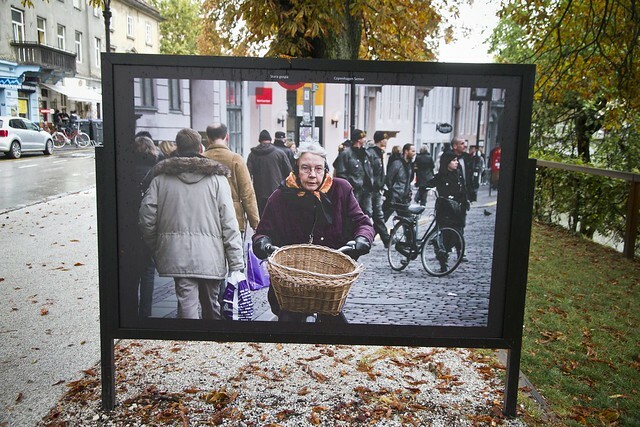 Over at Copenhagenize you can see more about the Monumental Motion exhibition. As well as read about minor diplomatic crisises and tales from car culture.